Summer is around the corner, and its time to do some room uplifts that will make the house look interesting and different with simple changes. Small tips and tricks can bring about substantial change without any great expense and we strongly feel the use of right accessories is the answer! We checked out Marina Homes for some ideas and as usual we found some great hacks! 1 Hang a rug on the wall. 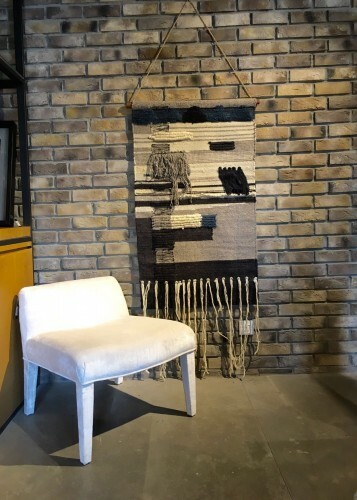 If its a colored wall go for a monochrome small rug, if its a bare wall you can add color with a patterened colorful rug. No need to frame it, just hang it like the peeps at Marina Home.